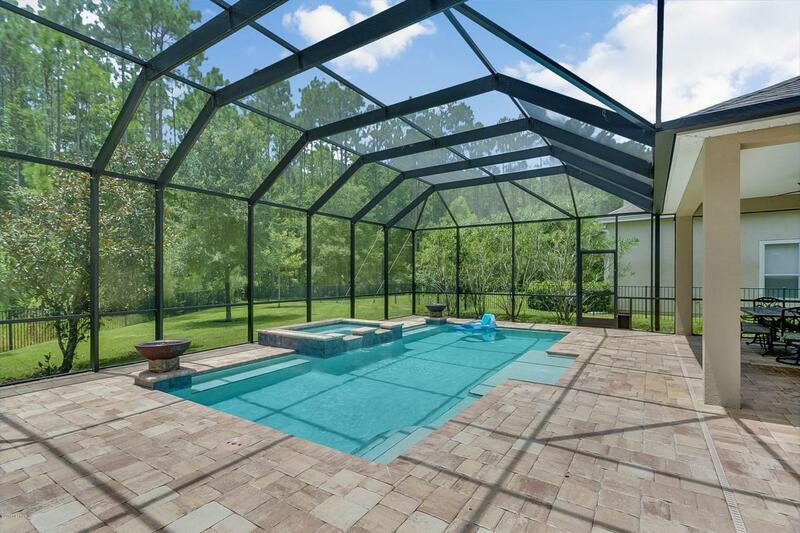 Don't miss this perfect size pool home on a large preserve lot with fenced backyard. Plenty of room for humans & pets to play. Stone accents add to the attractive exterior & a screened pool with pavered decking offers a special place to relax. 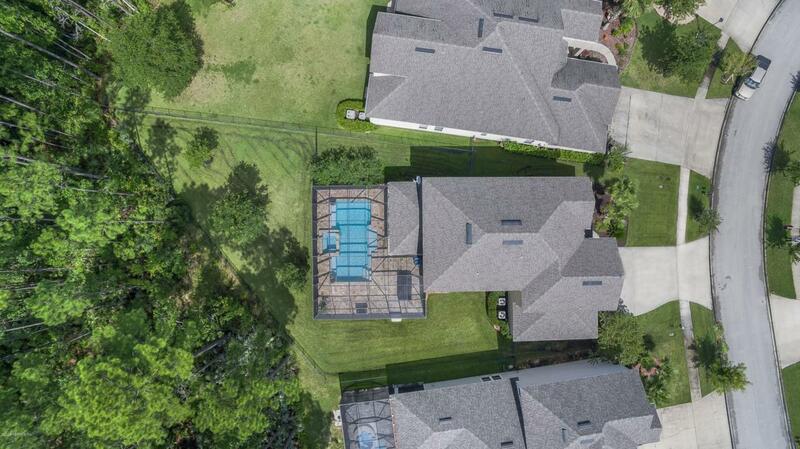 Open kitchen to great room open layout with formal dining room & spacious bedrooms. Tile flows throughout the main living areas with wood flooring in dining & office. 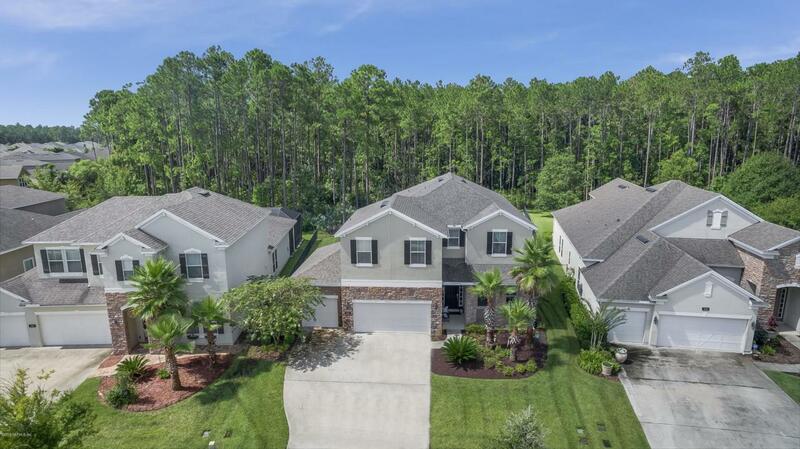 Perfect kitchen with SS kitchen appl., gas cooktop, granite counter tops, breakfast bar, newly painted white cabinets,center island,dbl ovens,& large walk in pantry. Fresh exterior paint,updated lighting, & new ceiling fan on lanai. 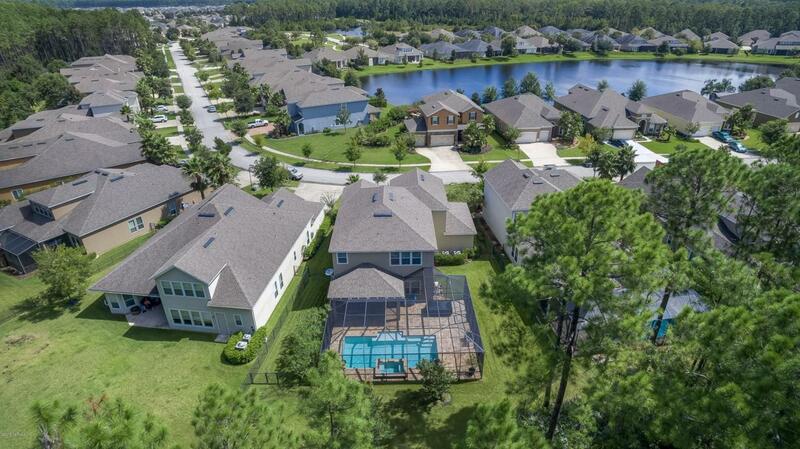 Enjoy the popular Nocatee amenities:splash park, jogging/nature trails,& endless activities. 'Talia Flrplan. Palm Valley Academy-new St. Johns County SchoolAdditional: Hurricane Shutters convey. New construction/builders do not provide any longer.